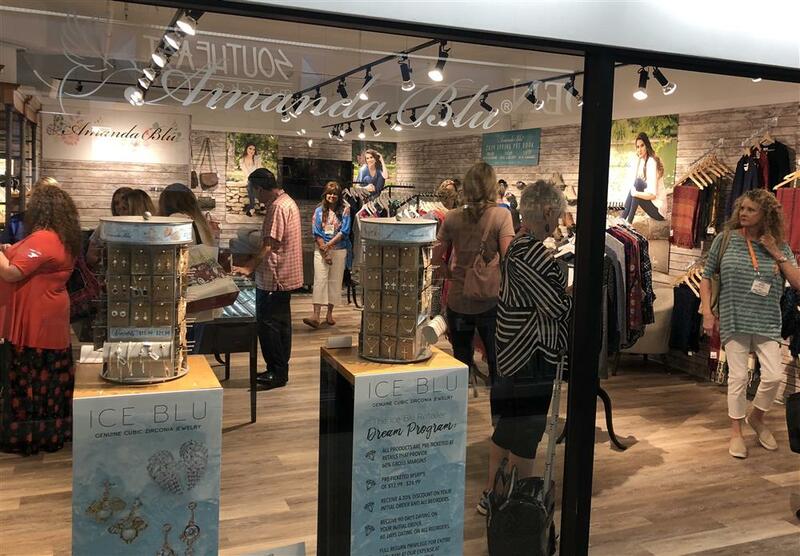 Robin Kert, President of Southeast Marketing, explains, "I love the new Amanda Blu showroom in Atlanta. It feels like a retail store and customers loved the shopping experience. They are not trying to be all things to all people but focusing on what they do best. The retailers noticed. Several stores told me it was the most exciting thing they found at market!" Kert continues, "It was a record July show for us at Southeast Marketing and Amanda Blu was a big part of it. Their shoes were incredibly well received. Their highly curated selection of upscale, elegant apparel was the perfect complement to our core apparel line Howard’s, and our novelty apparel line DM. The sentiment jewelry programs (Heartfelt and Ice Blu) and their leather earrings are the best designed and most competitive in the market. We are super excited about our partnership!" We recently opened the doors of our new Corporate Showroom during the Atlanta Gift and Home Furnishings Market. Our new home on the 13th floor of Building 2, Suite 1337A is the perfect place for us to showcase our extensive line of stylish products for the on-trend woman that wants timeless, everyday wearability from head to toe. Our team would like to thank everyone who visited our showroom. You made this Amanda Blu’s most exciting show to date and helped us preview our Fall 2018 and Spring 2019 looks in style! We look forward to welcoming you back to our showroom soon. Each season, we start at the drawing board with the best color palettes and key trends that the chic woman needs in her closet. 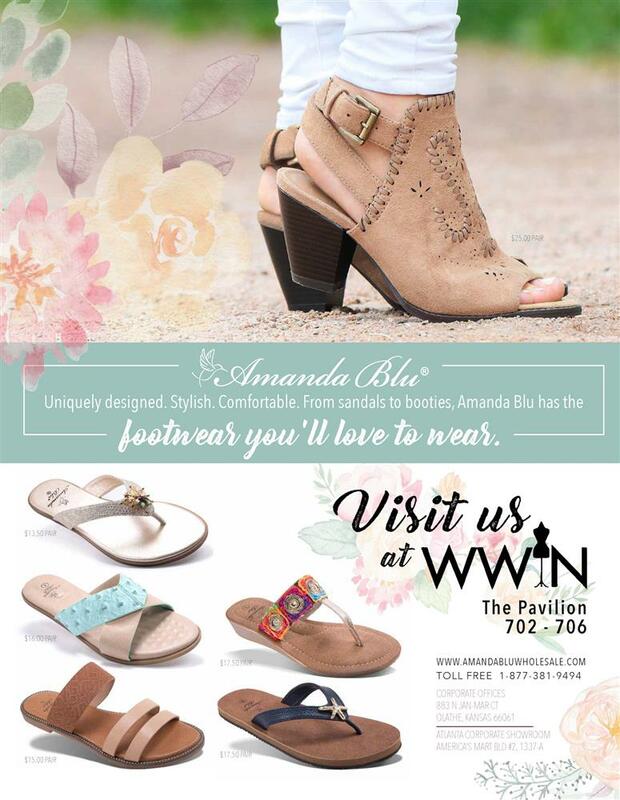 Amanda Blu’s Fall 2018 and Spring 2019 fashion lines were inspired by our commitment to quality, comfort, and value - from fashion-forward footwear to modern handbags and jewelry. 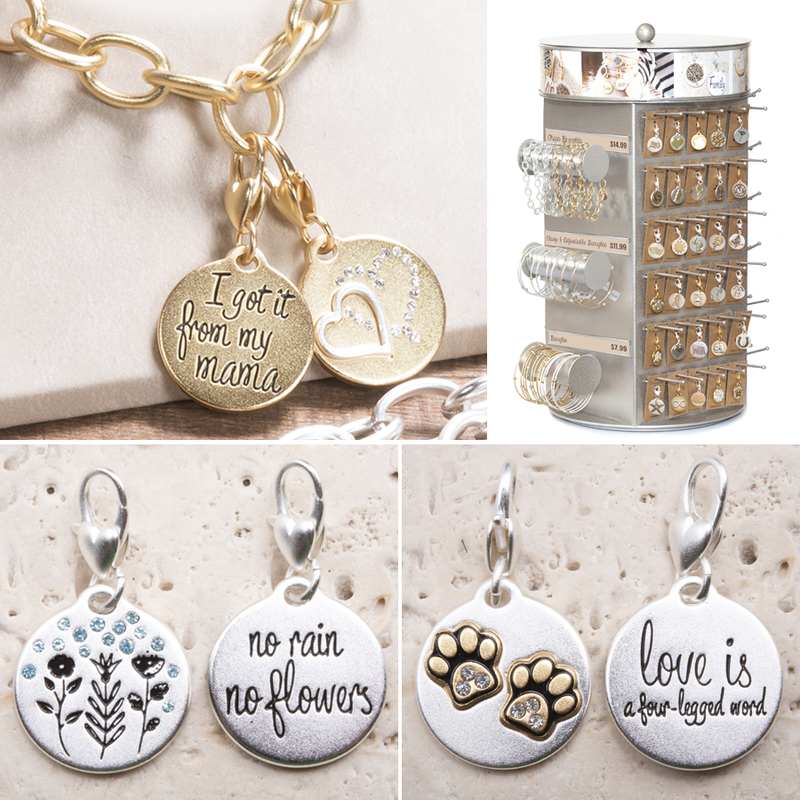 Bring each of your important moments to life with the Heartfelt Emotions collection from Amanda Blu. 2-sided medallions feature meaningful sentiments with coordinating icons, and easily attach with a lobster claw for endless customization. MSRP: Medallions $9.99 - Bracelets $9.99 - $14.99 each.